On the 4th days of Chinese New Year, we would like to share a quotation about prosperity. Wishing all a year full of good fortune and blessings. Happy Chinese New Year! 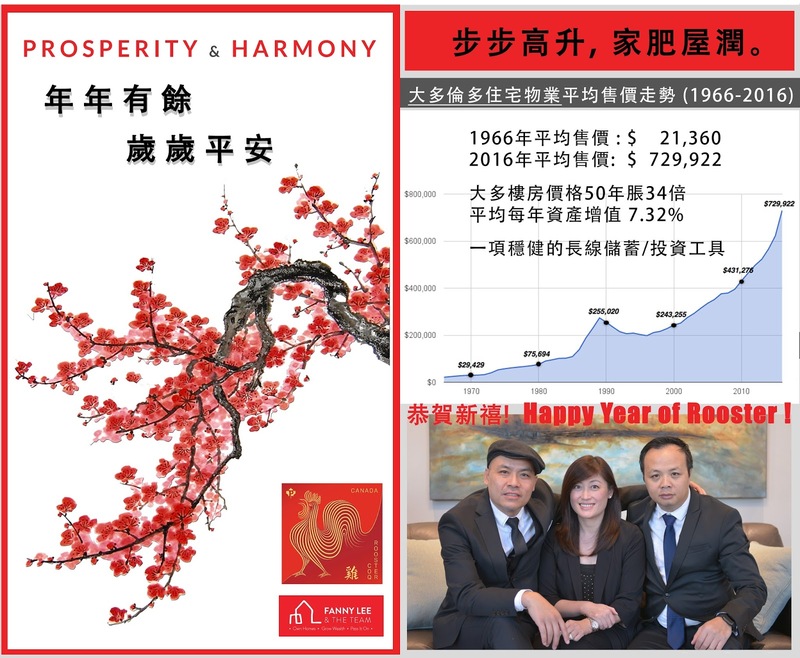 May the Year of Rooster bring you Prosperity and Good Health. Live and learn. That is why we keep on enrolling in trainings or attending talks. During the last week training, we came across this though - just perfect for #TuesdayQuote. Isn't it so true? We are often tempted to select by number. Choose QUALITY Wisely! 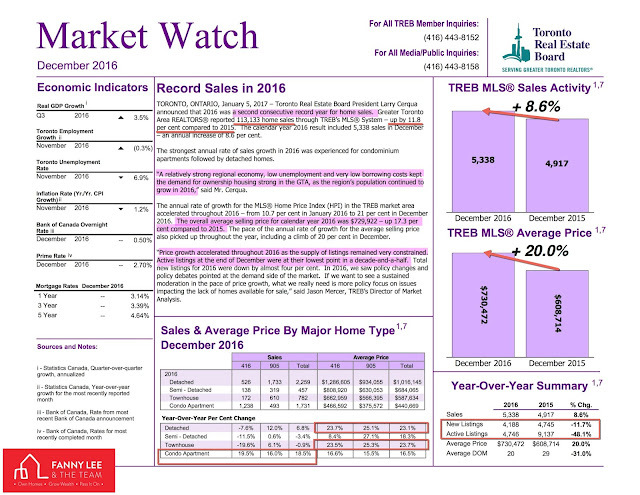 We know that Greater Toronto Area (GTA) home re-sale market has been preforming strongly and made record resales both in 2015 and 2016. 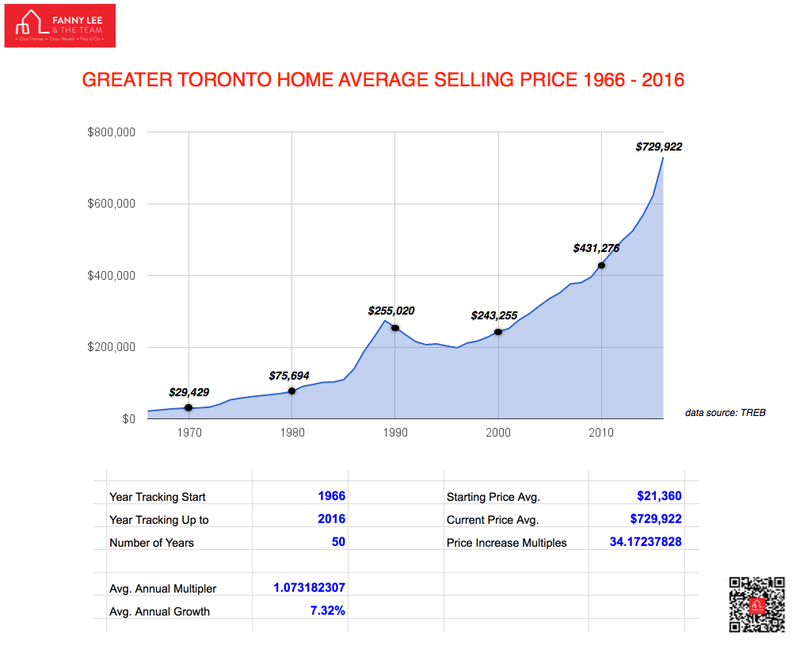 In fact, the GTA home value (measured by annual average selling price) has been steadily appreciating since TREB tracking started 50 years ago in 1966. The average selling price of a GTA in 1966 was $ 21,360. In 2016, the price was $ 729,922, 34 times of 1966's. This represents an average value appreciation of 7.32% every year for the past 50 years. As shown, GTA property has been a very reliable longer-term investment vehicle to accumulate and grow wealth. 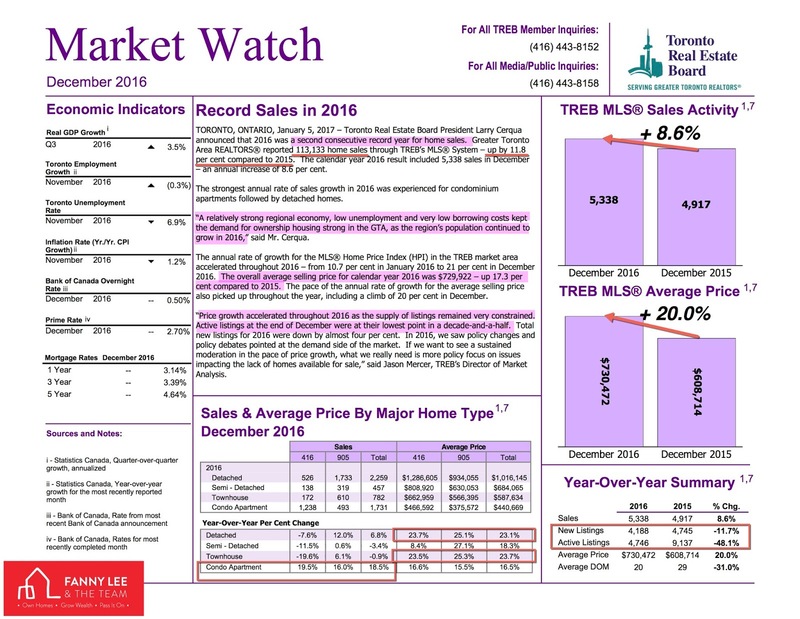 "Record Sales in 2016" was the headline of TREB Market Watch (Dec. 2016). 113,133 home re-sales in Greater Toronto Area in 2016 representing a 11.8% increase and also marking a second consecutive record year for home sale. TREB President Larry Cerqua attributed the stellar market performance as follows. "A relatively strong regional economy, low unemployment and very low borrowing costs kept the demand for ownership housing strong in GTA, as the region population continued to grow." * Active listing was low, nearly half (52%) of last year level. If you wish to sell your property in the upcoming season to yield maximum return, please contact us now to work on the listing strategy and marketing plan. #TuesdayQuote likes to challenge and aspire each of us to strive to reach our golden dream, whatever it might be. #HappyMonday 2017! 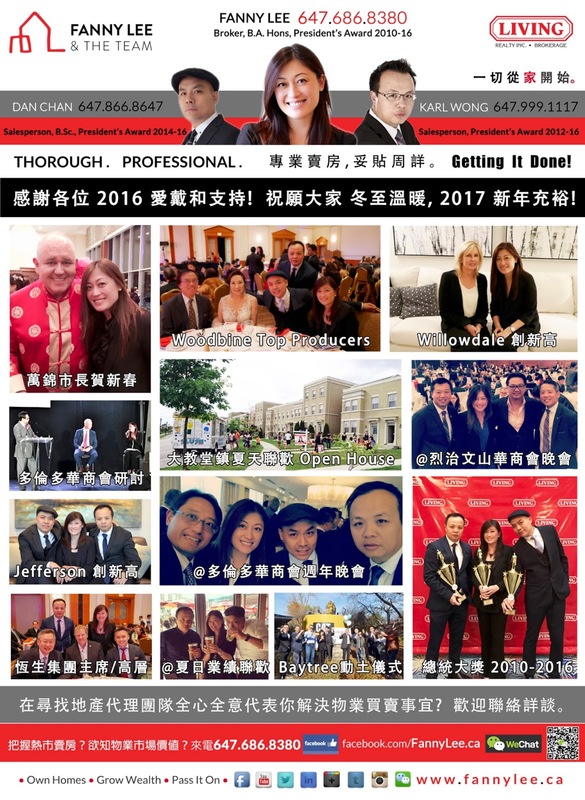 On the first working Monday, we feel tremendously grateful for all the support, opportunities and blessings that we have gotten in 2016. THANK YOU. 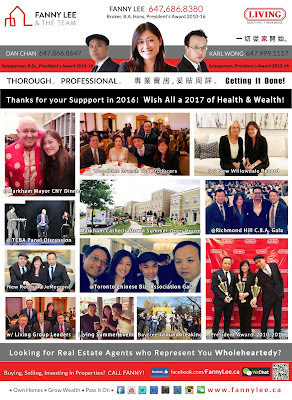 To pay tribute to many clients, friends, families and colleagues, we are currently running an ad featuring "2016 Moments." Here is a video version. May your 2017 be simply fantastic!